It’s Tuesday, so you know what that means—it’s time to talk shoes. Today’s topic? The coolest black heels. To enable (and honor) our love for footwear, we’ve dedicated a weekly post to highlight and share our must-have picks! Be sure to come back every Tuesday to check out the week’s featured style, and shop the shoes sure to keep your wardrobe fresh and covetable. Owning a great pair of black heels is a wardrobe must for every stylish woman. Whether you opt for a classic two-strap option or something a little more forward, a woman’s closet is not complete without a pair of black heels. To make sure your shoe selection is set with the most stylish picks, we’re sharing the best options to update your shoe collection this season. 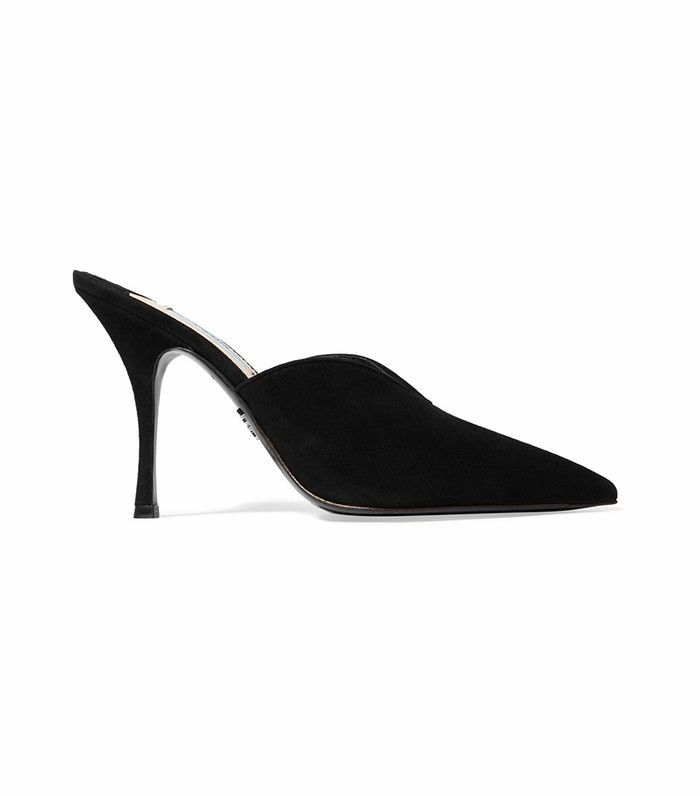 Shop the chicest black heels below. Mules are by far one of the most flattering shoe silhouettes. Stylish slides will be everywhere this spring. These are sure to make any outfit look 10 times cooler. The dainty buttons add such a feminine touch. Ruffles aren’t just for clothing anymore! Remember the flat version of these shoes? The heel adds such an interesting detail. You can't go wrong with a strappy black sandal. The chicest kittens heels we’ve seen in a while. Up next, the under-$50 flats fashion girls would actually wear.